South Africa is a country of extraordinary variety. Whether you’re after beaches, mountains, forests, valleys, or busy city centres, this is the place to find them. And, as a destination, there is no shortage of world-renowned attractions in South Africa. But, there are also loads of gems that may not be as well known but are every bit as beautiful and exciting to explore. These have the advantage of (often) being quieter and easier on the budget. There’s an ethereal kind of beauty about the Klein Karoo. It’s different, unassuming, and a little mysterious. A little town like Graaff-Reinet has loads of history (it’s the oldest town in the Eastern Cape), friendly people, and plenty of character. It’s surrounded by the Camdeboo Park, which has incredible populations of plants and animals and is home to the breathtaking Valley of Desolation. Other Klein Karoo towns with unique appeal include Nieu Bethesda and Cradock. More than being a World Heritage Site, the Baviaanskloof is spectacularly beautiful. Walk, hike, cycle and 4 x 4 your way through the rugged terrain to get the most out of it. This is all about steep mountain passes, deep gorges, incredible rock formations, lush greenery, and unspoilt plains. Animals that call this home include the leopard, baboon, vervet monkey, zebra, eland, kudu, and buffalo. There are also loads of raptors and other exciting bird species. 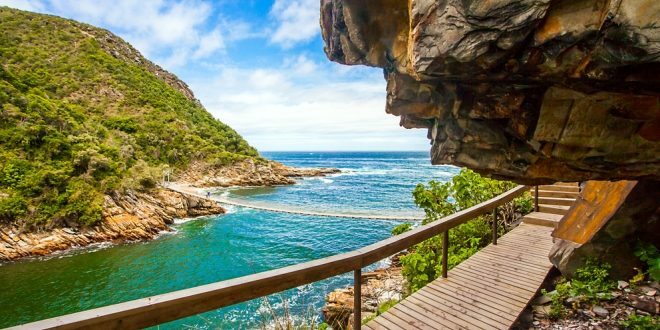 This seaside Garden Route town is another gem. Although tourists sometimes pass through it en route to or from Cape Town, it remains fairly quiet. But, it has so much to see and do. This is a hotspot for shark cage diving, fishing, surfing, swimming, whale watching, SCUBA diving, cycling, shopping, and sampling some excellent seafood. 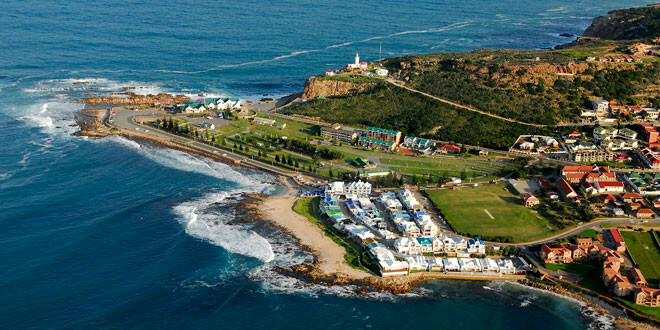 Mossel Bay has a stunning climate, and is only 1.5 hours from Knysna and about 4.5 hours from Cape Town. Seeing the glimmering blue of the Mpumalanga lakes is soothing to your soul. Around Lake Chrissie, which is the main lake of the district, there are 320 more lakes and pans of different sizes and shapes. And, where there’s water, there’s life. Find an amazing variety of birds, frogs, and butterflies. Or, just relax while you drink in the views, which are nothing short of humbling. Tulbagh stirs up all kinds of nostalgia with its old farmhouses, views of the mountain behind a haze of summer heat (or, very rarely, topped with snow in the winter), and quirky locals. Go on wine tastings, visit the museums, cycle through vineyards, hike through mountain fynbos, or explore the orchards on the back of a horse. This little town in the Cape Winelands is a very special retreat, just 1.5 hours from Cape Town. This part of the Garden Route is lush, green, and filled to the brim with adventure. When visiting Tsitsikamma, you can choose from ziplining over the spectacular forests, ziplining over tannin-stained waterfalls, segwaying through the Storms River village and forests, horse riding along the streets and country trails, and tubing down Storms River. This is one of the most awesome holiday attractions in South Africa for the family. These attractions may be quieter than the mainstream South African hotspots, but they offer all of the necessary facilities, including accommodation to suit your budget and needs. 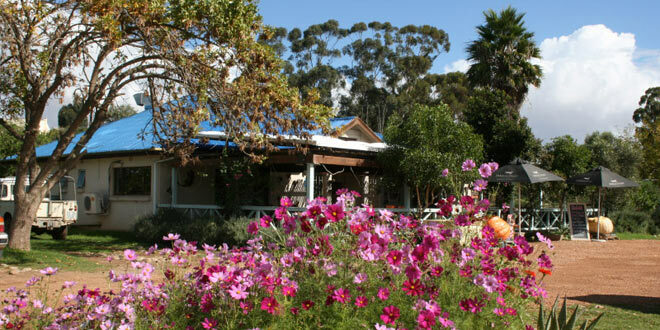 Have a look at SA-Venues.com to book guesthouses, lodges, B&B’s, or hotels on one easy platform. Along the N2, on the scenic route between the Garden Route and Cape Town, is the welcome pit stop and favourite diner, Delish. Perched in the gorgeous countryside of the Western Cape, this eatery is a great stop for the family and hungry travellers needing an invigorating cup of coffee, a tasty meal, and a chance to recharge. The menu is filled with homemade delights that are as tasty as they are comforting. Wood-fired breads and hearty pies are par for the course, as are homemade preserves and sauces. These make for awesome take-aways and gifts for those back home. The menu has a great selection of breakfasts, ranging from the traditional bacon and eggs to the creamed spinach and bacon with poached eggs, or the smoked salmon with cream cheese and capers on rye. Lunch favourites include a range of wood-fired pizzas, a lamb burger with minted Greek yoghurt, chicken burger with brie and sweet chilli, peri-peri chicken liver salad, halloumi salad, and roast chicken sandwich. Dinners are heartier, and just as delicious. Choose from the 500 gram T-bone steak, the springbok shank, pan-fried kob, or the chicken and basil pesto pasta. There are some Banting meals on offer too. Delish is open for breakfast and lunch every day, as well as for dinners from Wednesday to Saturday. The Sunday lunches are hearty and beautifully presented. The wine shop’s stock is comprehensive, with a selection of local labels to impress the winos, as well as craft beers and some rather special spirits. Heidelberg is just over 270 kilometres from Cape Town, and is known for its pretty landscapes. There are a number of hiking and cycling trails around it, and the area is great for bird watchers that want to combine their love for birds with the peace and tranquillity of this gorgeous part of the Western Cape. 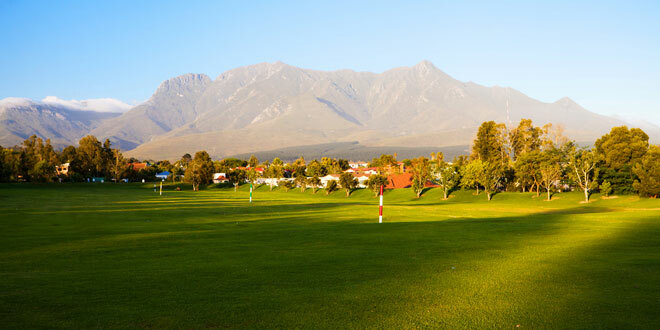 Flanked by the imposing Outeniqua Mountain Range and the exquisite Indian Ocean, George is particularly pretty. This beauty, combined with the heritage of this town, makes George a prime tourist spot for families, honeymooners and backpackers wanting to experience South Africa. The climate here is somewhat Mediterranean, with rainfall particularly during the nights and the winter months. The summers are moderately hot and the winters cool to cold. 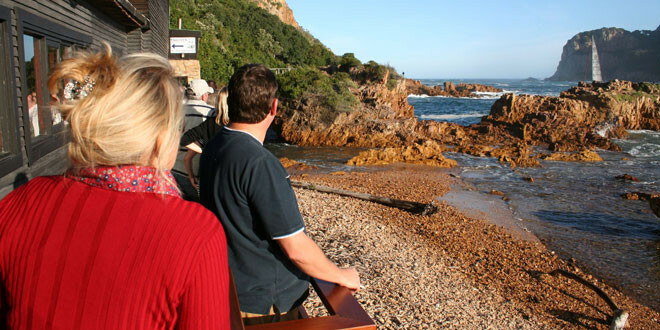 Knysna is one of the best known gems along the world-famous Garden Route. 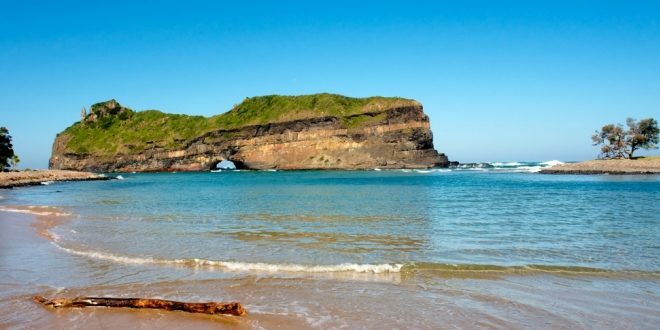 It is situated between Port Elizabeth in the Eastern Cape and Cape Town in the Western Cape. Although it has become a popular tourist attraction in the last two decades, Knysna’s history goes far further back; its forests being the famous home of African Elephants and forest-dwellers with an entire culture of their own in times past.